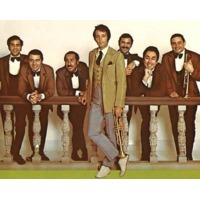 Herbert "Herb" Alpert (born March 31, 1935) is an American musician most associated with the group variously known as Herb Alpert & the Tijuana Brass, Herb Alpert's Tijuana Brass or TJB. He is also a recording industry executive — he is the "A" of A&M Records (a recording label he and business partner Jerry Moss founded and eventually sold). He is married to Lani Hall (1974-present) 1 child and was married to Sharon Mae Lubin (1956-?) (divorced) 2 children.